Low-flow toilets are a sensible choice for many homeowners. Learn why below! Are you looking for a new household project that can reduce your energy and water bills, help to save the environment, and efficiently tackle a necessary task? Low-flow toilets are the perfect solution for you! Low-flow toilets are energy efficient, incredibly cost-effective, and perfect for homes throughout the area. 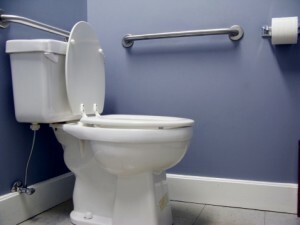 Why are low-flow toilets such a great choice for many homeowners? Toilets that are old use massive amounts of water (5 gallons or more) with every single flush. Even if you are using a newer toilet, you still might be wasting a ton of water every time you use the bathroom. Low-flow toilets are made to use as little water as possible when flushing. High-efficiency low-flow toilets use even less water (1.3 gallons or less per flush). Another effective option is a dual-flush toilet that has one button or handle direction to flush liquid waste and another one to flush solid waste. If you are interested in a low-flow toilet but not able to afford the cost of one yet, first take the time to repair the toilet that you have. Many people have small leaks or repairs that can reduce the amount of water their current toilet is using. Do you want to make your toilet tank draw less water every time you flush? Use a plastic bottle filled with rocks and water and place it in the toilet tank. Every time you flush, the toilet will draw up to a gallon less! If you want to look for leaks in your toilet, use a few drops of food coloring in the toilet tank and flush. Does any color appear in the toilet bowl? That’s a sign that there is a leak needing to be fixed in your toilet. This entry was posted on Friday, June 2nd, 2017 at 5:58 pm. Both comments and pings are currently closed.